The LibDem candidate for tomorrow’s Richmond Park by-election is an unconvincing combination of contradictions. She deserves to be defeated. We’re used to the LibDems occasionally picking slightly iffy parliamentary candidates to contest either General Election or by-election seats. The case of one Ibrahim Taguri, the alleged “fund-raiser” forced to resign as candidate in Brent Central after a “donations-in-return-for-access” scandal, comes to mind: as does the case of George Cunningham (Chair of “Brussels & Europe LibDems”, incidentally), suspended as parliamentary candidate in Thanet North after allegations of impropriety which included bringing in donations from abroad. 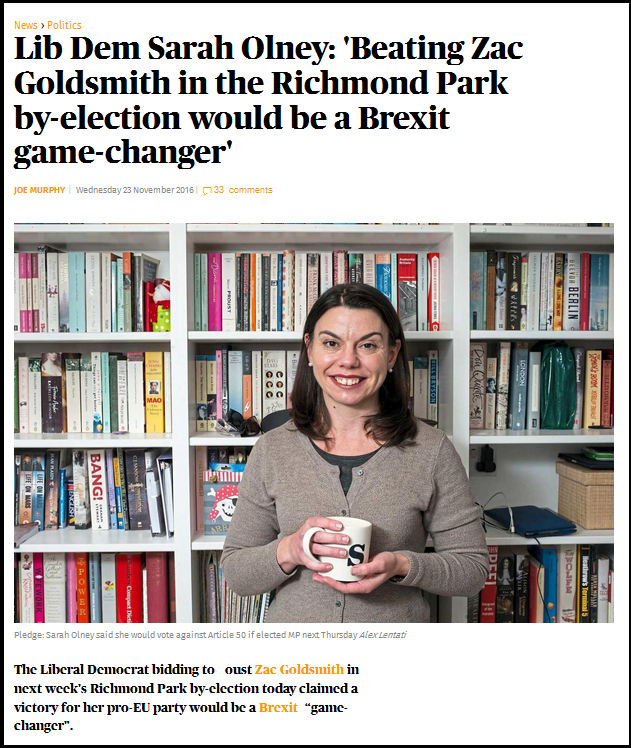 In the case of Sarah Olney, candidate in the Richmond Park by-election being held tomorrow, though, the LibDems appear to have picked a candidate whose problem isn’t so much one, as it were, of convictions, as of contradictions. Firstly, on the central issue behind the by-election occurring at all, i.e., former Tory Zac Goldsmith’s resignation as an MP on principle to re-stand as an Independent on his declared opposition to Heathrow runway expansion. 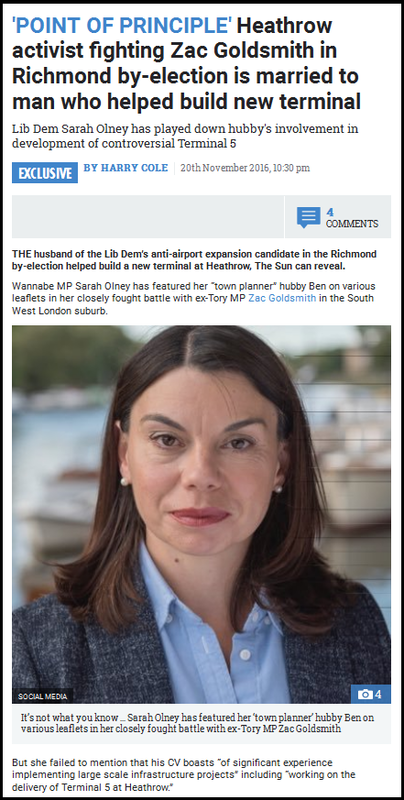 Olney, as one would expect, both as a Green-tinged LibDem and, to be fair, on local nuisance grounds, is also opposed to the third runway: but here’s the contradiction – her husband is a town planner who played, it appears, a key role in developing Heathrow’s Terminal 5. That of itself is perhaps a tad awkward, but probably no more than that if fully disclosed – it’s his profession, after all, and everyone has to live – but the contradiction has been exacerbated by her decision to play down the fact almost to the extent of concealing it. Her campaign leaflets, we learn, make a point of mentioning his “significant experience in implementing large-scale infrastructure projects”, but, er, omit that one particularly “large-scale infrastructure project” he helped to implement was the last-but-one major project at the facility whose expansion she vehemently opposes. There’s an interesting potential conflict of interest here. 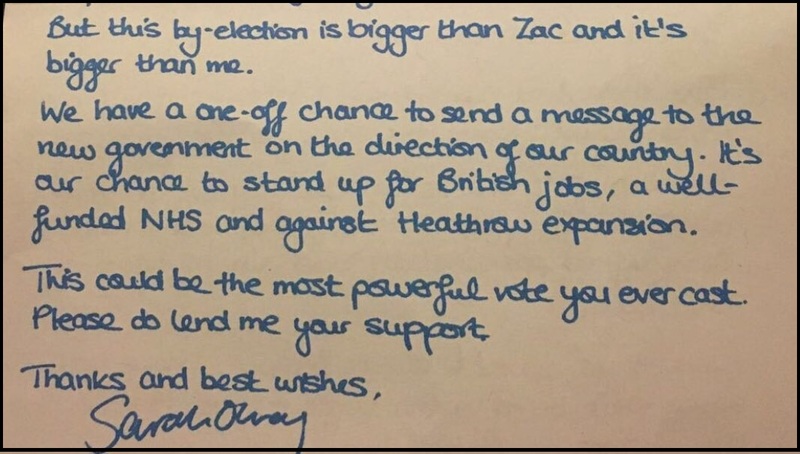 If Olney wins, on an overtly anti Heathrow expansion ticket, she acquires all the pecuniary and status rewards of an MP. On the other hand, the development will probably go ahead anyway, so her husband, with his experience, also stands to gain professionally. Win/win for the Olneys? If she loses – and bear in mind that the least she’s likely to achieve is a good second, because neither the Conservatives nor UKIP are contesting the seat, and the Labour candidate looks like a no-hoper – she’s no worse off than she is now, and the Heathrow development probably proceeding anyway still stands to benefit her husband. No-change/win for the Olneys? The contradiction between the public position (and it’s without doubt sincerely held) and the limited potential for personal downside is intriguing. That’s the local factor at issue in the Richmond Park by-election. 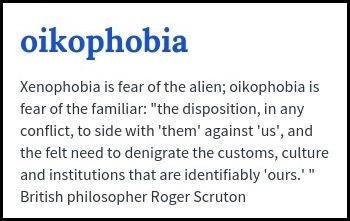 The national one, of course, is the EU Referendum, Brexit, and the desire of the LibDems either to dilute it to the point of virtual impotence or preferably frustrate and overturn it entirely, whether by parliamentary or judicial manoeuvres. Which is where the second contradiction arises. 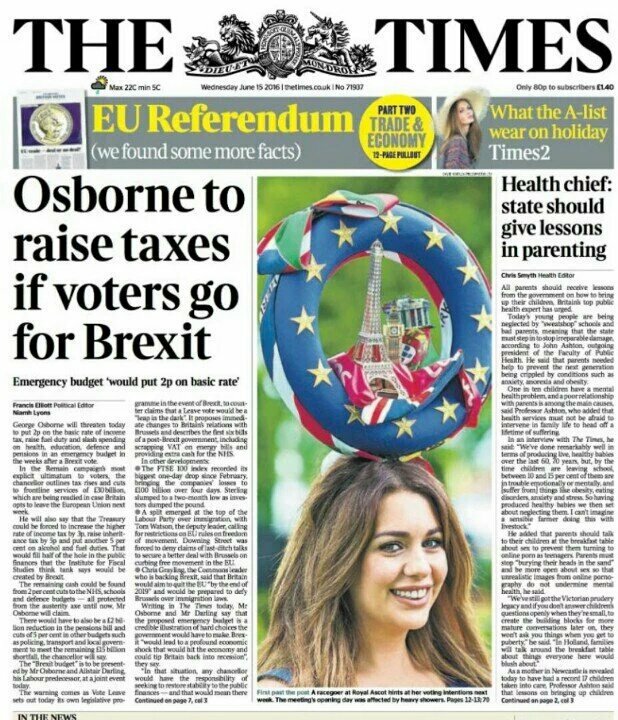 As you’d expect, and again as a fairly standard LibDem Europhile, Olney is opposed to Brexit. 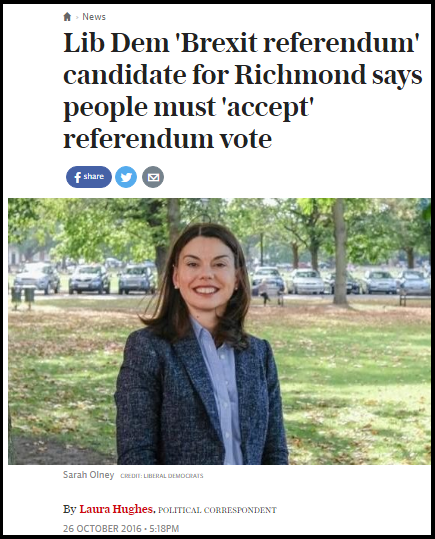 As their candidate in Richmond Park, where over 70% of votes cast in the EU Referendum were for Remain, she’s also an at least implied backer of the anti-democratic Unreconciled Continuity Remain cabal’s machinations – prominent in which are two of the party’s former leaders and also its current one – to delay, diminish and preferably negate it, whether by Judicial Review, parliamentary vote(s) or even by pressing for a second Referendum. The contradiction here is this: Olney is on record as previously saying that people must accept the UK’s decision to leave the EU, and that the government should not seek to “re-run” the vote. She had even gone as far as calling for Leavers and Remainers to “come together”, and “make a success of Brexit”. But with her party leader Tim Farron already having pledged to make the contest a “Brexit by-election”, the question arose as to how Olney would handle such an embarrassing contradiction. Very much in the same way, it turns out, as she handled the Heathrow contradiction: by concealing it. On the afternoon of 26 October, apparently, she deleted her personal website and its call for the democratic verdict of the British people to be respected. She now suggests that Theresa May should commit to a second Referendum on our EU-exit terms “to buy herself time and negotiating capacity”. That’s quite a U-turn, even for a LibDem….. When Olney started her campaign, it was mainly, though in fairness not exclusively, a local one. Airport expansion was the key issue, she claimed, and a vote for the LibDems would “make a stand against Heathrow”. 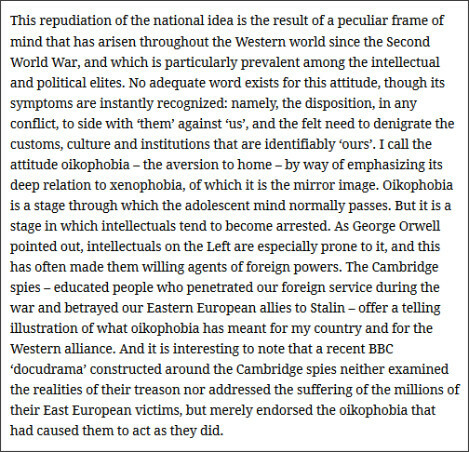 Whether the third contradiction – the switch of primary focus from the local to the national issue – has come about from anti-Brexit conviction or from embarrassment at family connections with Heathrow expansion is a moot point, but come about it most certainly has. 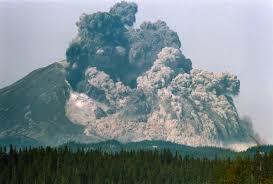 That was on 23 November. In the space of a mere week, however, it has mutated into something even more momentous. No longer a mere “Brexit game-changer”, the Richmond Park by-election tomorrow is now, we are told, “the most powerful vote you ever cast”. Wrong, Sarah. 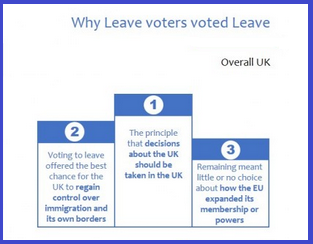 The most powerful vote any of us alive have ever and will ever cast was the vote of 23 June 2016, when no fewer that 17,410,742 of us voted to defy the imprecations and exhortations of the globalist-utopian political, economic, financial and cultural ‘liberal’-elite, and recover our political and economic sovereignty to our own shores and our own ballot-boxes, to be determined democratically by us and us alone. For that reason above all, it’s important that the LibDems don’t win this by-election. I’m frankly ambivalent about Zac Goldsmith. His Mayoral campaign was abysmal: his languid environmentalism is a turn-off: his susceptibility to, and collaboration with, Exaro’s rightly now-disgraced “Westminster Paedo Ring” campaign was misguided or worse: and I believe his opposition to Heathrow expansion is strategically wrong. But I admire his principled decision to abide by his commitment to his constituents over Heathrow, even at political risk to himself: his advocacy of more direct democracy via a proper MPs’ Recall Mechanism: and above all, his unswerving devotion to the Brexit cause. 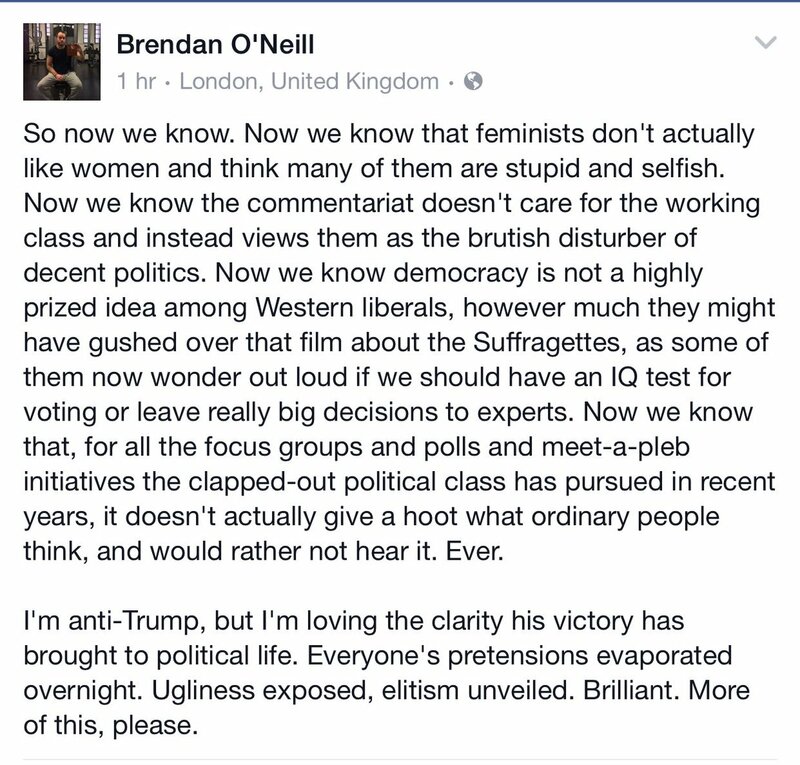 For those reasons alone, I hope he wins. But there is another. 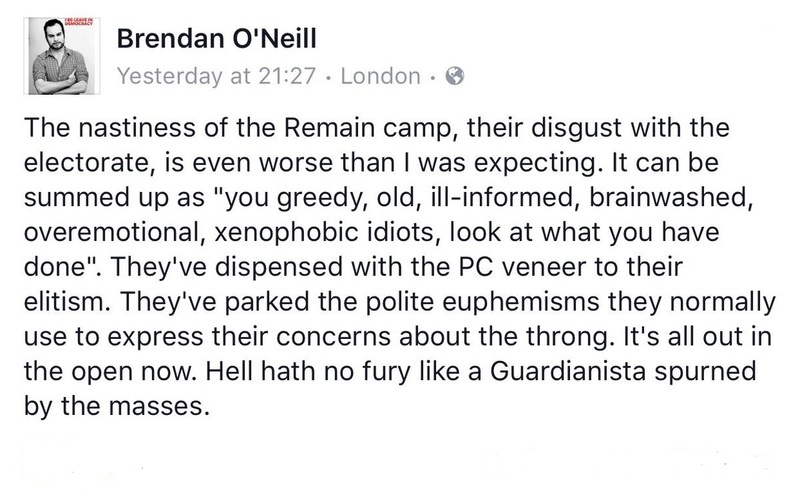 If Goldsmith does manage to win, it will mean that the Europhile, anti-Brexit LibDems, for this by-election allied with the Greens instead of competing with them for the same voter demographic, and in possibly one of the most LibDem-friendly, Remain-supporting, anti-Brexit constituencies in the country, will have failed. That would send a powerful message to the egregious Farron, Clegg, Ashdown and all their motley crew of embittered, anti-democratic Remainer plotters, intent on ignoring or overturning the expressed will of the people. And that will be a very fine contradiction indeed.